Hello, thank you for visiting Gastronomy! My name is Cathy Chaplin. I was born in La Mesa, California, educated in Swarthmore, Pennsylvania, and cultured in Saigon, Vietnam. 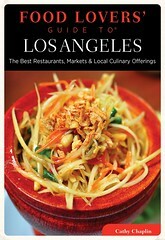 Now based in Los Angeles, I document all things delicious on this site which was launched in 2006. My writing and photography have appeared in numerous publications including Saveur, Los Angeles Times, Bon Appétit, and Condé Nast Traveler. When I’m not planning my next meal or reflecting on a previous one, you’ll find me lacing up my kicks and going for a run. Love your posts on Vietnamese foods. I haven’t visited VN for nearly 7 years and are desperate to go back to visit. Thanks for the tips on where to find good local foods. Keep up the good work & enjoy what VN has to offer! 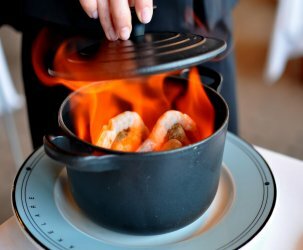 I found your blog recently while googling some info about philly restaurants and found it both excellent and very informative. I also found your book review section and found it to be spot on. I thought I might recommend a book for you (& perhaps the astronomer). I recently picked up the “Molecular Gastronomy”, an english translation of a book by a french chemist and gastronomer, Herve This. The book is actually part of a series “Arts & Traditions of the Table: Perspectives on Culinary History”. I found it absolutely intriguing because it wound its way through the kitchen, the table, the mouth, nose, throat, and history of good food, as well as the language we use to describe it, all from the perspective of the molecular and tissue level of food. Of course it is not a ‘food fiction’, ‘art of food’, nor a ‘how to’ book, but it is a rare and rigerous little treat on the why and whyfore of everything from salt to foie gras to gels to wine and roasts, and it doesnt seem too shallow or much like a school book. Anyway, my partner and I are about to visit philly for the first time and per your blog we now have several options, so I wanted to say hi, thanks for the interesting blog, and keep writing. I stumbled on your website when searching Vietnamese food websites. I’ve enjoyed it very much so far, since my Mom is Vietnamese and I LOVE my Vietnamese food. What I couldn’t find is what you and your boyfriend are doing there? I’m thinking of quitting my job and going there for a few months… however, i’m not sure i’m interested in teaching English. I was just wondering what other job opportunities exist. I’m from Canada. Hope you’re enjoying your time! I would love to be there! I very much love your website Cathy!!! Having spent so much time in Thailand and Myanmar, looking and reading at this I got so hungry for all of those foods that you can’t find in the USA! (Why is that?) WHen I eventually make it to VN, I will know exactly what I want to eat, thanks to you! Hey there Special K – thanks for dropping a line. Eerie connection indeed! The next time I’m in the L.E.S., my friends and I are going to head to Momofuku Saam Bar for the pork shoulder. You and the misses should join us! Thanks Summer! It’s never too late to visit America’s Finest City ;-). And about keeping fit – I’m an avid runner and try to take the stairs whenever possible. Wow, I totally love your blog. I’m a food lover too. If only I read your blog 3 years ago while I’m still in SD, I will follow your recommendations on restaurants to search for good food. But na… maybe it’s not too late, I might visit SD again and maybe I will visit those cool places you have mentioned in your blog. So, keep the posting coming. Just curious, how do you burn all your calories after eating so much food? my name is Kai Friese and I edit a monthly travel magazine in New Delhi. I’m writing because I’ve assigned myself a story on Saigon, and, inspired in no small part by your blog, I plan to focus substantially on the food. I know this is a bit presumptuous but I wanted to ask if I could meet you during my visit (Feb 1-5) and possibly go out for a meal. Needless to say I’ve enjoyed your writing very much. Great blog–Glad to see you’re still enjoying food : ) How’s Vietnam? I’m not THAT far away–only a mere 7 hour flight or so to Australia. I’m currently living in Adelaide, on the southern coast. Kind of a backwater, but lots of good food, including the best gelato I’ve had outside Italy. (lots of bad food too. the Aussies seem to like both extremes). I especially liked your airline food reviews, I encountered similar sandwiches on Chinese airlines, though at least they gave us little golden airplane pins : ) Lemme know what’s up with your life!! I have just moved my posts to wordpress. Just a new start. Stop by and comment, ok? Thanks for this blog, it’s really fantastic! Thanks again for meeting up with Steven, Lam & me recently. We thoroughly enjoyed your company, Vernon and Ngu Vien. I still read your blog once a week and enjoy it greatly. If only I get to travel & eat great food as often as you do! Melbourne is a good place for foodies but not as good value as Asia! Hope all is well with you & Vernon. Since you mentioned about toilet paper job… ( commonly known as TP JOB)., and I am regarded as “seasoned TP Jobber” by my associates. I can skew out some tips and tricks. Don’t get me wrong I never claim to be master of TP Job Art. The following are steps including preparation for a perfect TP jobbing. Of course this can be modified to fit individual situation and taste. – house doesn’t have an owner crazy enough to take down all your work of art in the middle of the night before anyone gets to witness your master piece – DOH! – sheer volume, we are talking about massive volume, the more the better. Heck , Juan done 6 roles, Ethan got 7, Bern got almost 8 ( creep, should counted 8, cuz the remain of 8th roles was on the driveway, when the living room light was on) . So if you want to be a master 8 roles is to be thrashed. – HIGHEST, the higher the better, the highest branches of trees, rooftop, gate, a plus is the antenna, be it old style or satellite antenna, get TP around ‘em if you get them hang, you are graduated from your internship. .
– grocery bag ripped-into-small-pieces, colored construction paper scattered across lawn. Even in the streetlight is for “master”. – Silly string (AKA rolling barrel)! Come on – who doesn’t appreciate silly string? Especially on hedges. That stuff is stubborn. – And the coup-de-grace – the Vaseline, used motor oil, grease or whatever similar to that on the door handle; in case the owner open the door and hunt you down. –	do not destroy plants, paint, or any other properties; remember TP Job means to be a frank, not vitalization. – TP Job, once is funny, more than one not funny any more. Now for the TP Jobbers wanna be out there, if you get any question feel free to email me. I just wanted to let you know how much ive enjoyed reading your bog, and SO MANY PICS!! Im heading to Vietnam in September and i am already salivating over all the culinary delights that await me. Reading through your blog and also Noodle Pie have given me so much more knowledge and understanding of what to look for and what to stay away from. Heading to VN for my honeymoon in October and was really happy to find your page. My future wife and I are planning the whole trip around the food and your insights have been invaluable. I have a feeling many people stop by here to do the same thing. It would be great if you had a “can’t miss” list for all of the major cities in VN. Just want to leave a few word to let you know thatI love your blog, I stumbled over your entries about vietnamese food, it makes me miss saigon food so damn much. And I just realized how wonderful they are. I just want to say I absolutely love love love your blog! I check for new entries every single day! Catherine, this is an awesome site. Loved all the comments on the national plates. Im going to Saigon next week with a bunch of people who are studying in Singapore. Where do you think we have to go? Whats the best coffee place? Best bar? I was aware that it’ll come someday, but I’m sad that you’ve left Saigon and returned to the US. It means that now I have to wait for pictures that Hawk actually sends, which are unfortunately few. I didn’t realize that you are a Southern Belle, Hawkins kept mentioning the SoCal girls that he runs into, which makes sense since that area has the largest concentration of Viets outside the mother land. I don’t know where you’ll end up in your job search, but if you are still in our neck of the woods, you and the astronomer are welcome to visit when Hawkins returns for Tet. Sea Island in January, maybe? Howdy Rick! Glad to hear your trip went tastily 😉 I never did get a chance to eat at Ngoc Suong—I always wanted to take my great aunt there but she always preferred to cook at home. Next time I’m in HCMC, I’ll definitely make an effort to go for the cha gio! Stumbled onto your site while hunting for a picture of Steven A. Shaw. I moonlight at a restaurant critic in the Northwest and plan to come back to explore more of what you’ve written. I like the tone. One other thing… I’m in the process of developing a WordPress site and would love to ask you some questions about the way you’ve set up your site. Possible? Because I enjoy eating and cooking, I love your blog a lot ! very well organized and humorous. i love to eat. the first time i read your blog i got so hungry and had to stop, went to the kitchen and foray for snacks, but since there is no cook on sunday i had to be satisfy with a bowl of left over “canh khoai mo with rau ram, tom and thit heo bam”! next time you are in town, make sure you stop by Tuan Tu Restaurant in the alley, corner of Pho 24 on Tran Cao Van Street around the Turttle Lake/Circle. this is a hidden treasure of Hanoi food. better than all the restaurants in Hanoi i have ever been to and the price is very reasonable. seating is very limited – only 6 tables so lunch is tough, but dinner is easier to find seating from 7pm on. let me know after you have been there. just wanted to let you know that i came across your blog after watching that no reservations episode on vietnam a couple of weeks ago. it has kept me occupied at work for the past hour 🙂 i am a novice cook myself, but my husband and i absolutely LOVE food, especially vietnamese food. your blog makes me want to go to some of the places you went to in vietnam and gorge myself. i’ve been back three times, but all were very short trips; i was obligated to mostly hang around the house and only go around with my relatives. the next time i go back, i’m hoping to go with my husband (who has never been) to some places like that beach town not far from HCM. i would welcome any recommendions and “must-sees” from you when the time comes to plan a trip there. anyway, just wanted to say keep up the great blog – i’ll be checking in regularly. Hi Cathy, I got to your blog from the article in NY Times and I think it is incredible. I am a Vietnamese who’s been living in Vietnam for over 20 years but I haven’t tried many of the foods you reviewed. Even with the recipes I tried and cook everyday, reading your reviews make me look at them in a more special perspective. You have a flawless passion and taste for culinary art. Just let you know that Rick Stein’s Far Eastern Odyssey will be at last broadcasted tonight on Thursday 16th of July on the BBC2 at 8:00, which we are longing for. Cambodia is the first country he has chosen. You can watch it on the BBC Iplayer, if you miss this series. I am the chef’s fan since I have emigrated from Saigon to London in 1996. And my husband now join me to watch any of Rick Stein’s series. I missed an opportunity to meet our favourite chef during his trip to Vietnam last year. You are a lucky girl ! If I had a chance to meet him, I would recommend my family’s restaurant in Thu Duc to him so that he could taste some delicious food. I really love your website because it is interesting and informative. We are looking forward to watching you and Rick Stein on the TV in due course. 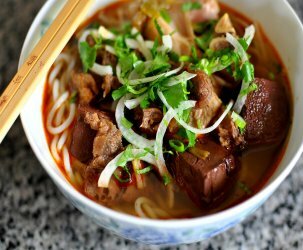 Just wanted to send a quick thanks your way for documenting all your favorite Vietnamese eats. I was recently in Vietnam and relied heavily on your blog to steer me in the right direction. The top 10 lists for Saigon and Hanoi were particularly useful. I’m in the midst of a rather lengthy and involved SE Asia travelblog on eGullet right now, reliving my own gastronomic adventures and just wanted to share couple posts with you if you’re interested in revisting some old favorites. Some of the spots you recommended in Hanoi can be found here, //forums.egullet.org/index.php?showtopic=125342&view=findpost&p=1685408, and some of the spots in Saigon can be found here, //forums.egullet.org/index.php?showtopic=125342&view=findpost&p=1685940 and here, //forums.egullet.org/index.php?showtopic=125342&view=findpost&p=1685567. Catheryn, will be going to VietNam again in Oct and looking forward to trying some of your fave places. Have been to all the major cities and then some in my 7 visits but never think to document my culinary escapades. Will try to in the future. Keep writing your awesome! I’m sure you get a ridiculous number of people telling you this but I wanted to let you know how much I love reading your blog and how useful all the Vietnam posts have been in my quests for Saigon streetfood. A couple of my friends are doing the expat thing there now (we’re all from the UK originally) so when I’m topping up my Vietnamese food and travel obsession I get use their place as a base (woohoo!). Between you and noodlepie, I had the inside knowledge on all the good stuff so thank you thank you for all your reporting! I’ll be back in Vietnam in October then again for a few months in the new year so will be checking out the places you rate that I missed out on (like the early morning grub in district 4 – can’t wait!). Loving the blog – especially the Little Saigon posts. Hope everything’s going really well – I can’t believe how often you manage to post. Brilliant work. Big fan of your blog! I wanted to email you and bug you for some travel advice. I’m Vietnamese and my wife Chinese, but neither one of us have ever been to Vietnam. We’re leaving on a honeymoon journey to Southeast Asia. Thailand, Singapore, then 11 day tour in Vietnam (Hanoi all the way down to Saigon). My family is SO persistent on telling us to be careful not to eat the street food in Vietnam. My wife and me are HUGE on “piggin’ out”. We probably won’t be able to resist in Vietnam. Do you have any tips on staying health conscious while still being able to enjoy grubbin’ out in Vietnam? Thank you thank you thank you thank you so much for your freakishly awesome website. I am prepping to go back to Vietnam after a four year absence, so I decided to Google places to eat. My friends and family joke that I am always way prepared when it comes to places to eat in every different city. So I Googled the Lunch Lady in Saigon to get her daily menu and came upon your site. I immediately gasped and told my boyfriend that I had found my “food-appreciating” soulmate. You put other foodies to SHAME!!! (Including myself.) Take care and great job! Stumbled upon your blog while searching for the “soup lady” after watching an episode of No Reservations. Great blog – enjoy reading your recipes. Have made a few comments on them, specifically thit kho, ca ri ga, and pho chay. Will look forward to my next trip “home” now, I have to check out some of the recommendations especially the soup lady – that Bourdain chap really sold it to me. Hi Cathy, love, love, love your blog! Fabulous, yummy street eats listing! Thanks for sharing! Just wanted to say we went to a few places you recommended on our recent trip to Vietnam, and they were all fabulous! Your blog is a great resource, and it’s now on my blogroll and one of my favorites for Southeast Asia! Hello Catherine, good to stumble upon your blog from an Anthony Bourdain’s No Reservations’ picture. 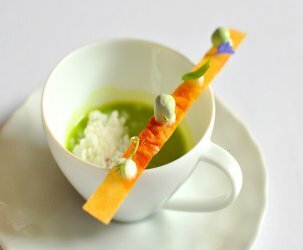 Like this gastronomical blog! Keep up the good work!! Cathy,I love your blog, and I noticed your hometown is San diego. I just wanted to suggest going to El Pescador its a small place on pearl street in La Jolla. (I recomend you try the smoked salmon salad with the cippino or clam chowda)…Let me know what you think. Cathy, it was so nice meeting you today! Looking forward to staying in touch! Love your blog! I love your blog and those stunning photos, recipes… I could go on. It’s brilliant and thanks for sharing! I felt stuck in a rut with the food in Hong Kong. Ran across one of your posts. I feel like my time here will be better spent soon (with some better eating). Thanks for sharing! I lived in Saigon for 6 months 3 years ago.Unfortunately, I only discovered your blog upon my return to Ireland but used to read it for nostalgia purposes; and then thought it was cool when you popped up on a tv show with Rick Stein! I’m actually in Saigon for a brief visit as I write this, but will be moving here for a year in October. I plan to try out all your recommendations and may even start a blog myself. Anyhoo, I just wanted to say thanks for the excellent blogging!!! PS Did you ever try out a restaurant called Table de Saigon in an alleyway near De Tham. Excellent food in an area (even though it’s a backpacker area). I was browsing Vietnamese food to show my mom and your blog popped up. I absolutely love your reviews on Viet food. It’s making my tummy growl like crazy! Thank you for taking your time to fill us in! Just had to tell you how much I love gastronomyblog.com. I found you while searching for reviews of minibar in DC, and my boyfriend and I spent all night reading your reviews of the DC restaurants, then Spain, then Hong Kong. 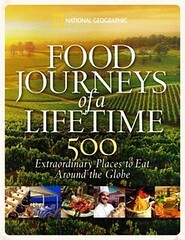 I’m a foodie, but haven’t traveled much, and it’s something that we’re planning on. Your reviews made me want to pack immediately! Anyway, thank you for the few hours of entertainment (and delicious torture)! Best wishes on future travels and meals! just back from 5 days in HCMC. Your info on “Toit Gourmand” is no longer valid. I spent 2 full days trying to locate Gils, a stuborn Danish Foodie will do that, and at last found him after many phonecalls that was never answered, and a couple of long taxi rides. They moved 3 months ago, changed name and are now “TROIS GOURMANDS” located at 18 Tong Huu Dinh Street, Thao Dien Ward, District 2, HCMC. Phone No. 84 8 3744 4585. I ate there for dinner and Gils was as charming a host as you would ever find. It was well worth all the effort, food was great and I mean, wow what a wine selection, and how he makes those cheeses in a tropical environment I just don’t know. I came across an article in HCMC Asia Life last year that you were featured in (the one with food recommendations from 5 different people). I am a total food nut and the article was very useful when trying to navigate and find good street food in HCMC. Anyway, one of my friends is off to HCMC and wanted to know where I ate at the last time so I dropped her a list of some of the places we went to. It then occurred to me what a great time I had and i thought i’d drop you a quick email, since I really enjoyed 2 of your recommendations in particular – the beef pho in D4 (btw its quite a fair bit less than 300m down the road) and also Quan 94 (the crab roe vermicelli was amazing). thanks again and if you are ever in this part of the world (singapore) would be happy to point you in the right direction for food! Was wandering cyberspace for cinnamon roll recipes and found yours, planning a fabulous brunch and would like to use if it’s alright? Enjoyed your site and am catching up on it in tidbits. 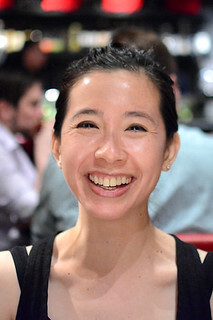 Hi… I saw you on that Rick Stein show bit and thought you were great and your passion for Vietnamese food was really refreshing! That show, and finding your website and recipes, has inspired me to get more involved (I love cooking but never tried Vietnamese). Thanks Cathy… u rule! Love the blog… my wife and I are planning a trip to Vietnam later this year. Any must do activities, places to see.. It’s my first visit to Asia… I think we’ll be flying into Hong Kong then take the train/bus? to Hanoi… or is there a better route to take? How are the trains in Vietnam? I don’t know much about trains or buses from Hong Kong to Hanoi. It must take several days? Seems like it could be a cool adventure and a good way to see a lot of southern China, but if you’re more interested in Vietnam, I’d probably recommend just flying to Hanoi or Saigon from Hong Kong. Our only experience with trains in Vietnam was going to Sapa, and we also took a bus to Kunming, China from the northwest border crossing at Lao Cai, which was quite tolerable, but I wouldn’t have wanted to do a journey much longer than that by bus or train. I guess it depends whether you have more time or money to spare. Do you speak french Catherine ? Syl20 – Sadly, I do not. great posts on vietnam! my friend recently shared your blog with me and it’s be a great way to travel, although we both have put on a bit of weight!!! Great blog and pics. I’m planning a trip to eat the fried chicken at Ad Hoc and found your article very useful! I’m traveling around the world right now and I stumbled on your blog when I was looking for delicious things in Hanoi. Thank you for the delicious recommendations. After digging around on your site some more I realized that you appear to be living in Los Angeles. So thank you for also making me wistful for food from back home. Nevertheless … due to a last second cancellation (literally) by some friends who are now in the doghouse, my wife and I have two open seats at our 4-top table at The French Laundry. The reservation is for tonight at 7 pm. If you or any of your readers know of someone who would like to join us, please have them get in touch with me at [email protected]. Your aunt, Thu, forwarded your blog to us! We love it! Love the recipes, pictures and the writings! Good stuff! Congratulations on your success as a foodie, chef and blogger! When you are in San Diego, tell your aunt Thu and uncle Hung to take you to our boutique winery, Mahogany Mountain Winery in Ramona and have some wine! For my 33rd birthday my 19 year old niece and I are going to Los Angeles for three days, the last weekend of this month to see War Horse at the Ahmanson and have a relaxing and fun girl’s weekend. We’re looking for fun, unique, good, and cheap (she is in college and on a budget) places to eat. It has been years since I’ve been to the LA area and the only place I really want to go back to is Phillipe’s for dinner one night, but other than that we are pretty much lost in the LA foodscape. Any suggestions for a weekend cheap food itinerary? The Suzzzz – You can find all of my favorite high and low end L.A. eats here. Happy early birthday and have a BLAST! After wrapping up several weeks of Vietnamese cooking on my blog I’m getting ready to do a round-up of Vietnamese food blogs and resources for people to check out (naturally I’m including you guys). But it occurred to me that I don’t think I’ve actually ever commented here before! I found your blog several years ago when I was researching food for my trip to Vietnam, so I’m long overdue. Really enjoyed reading your blog – will have to check out Tar and Roses soon. Bay Cities is so overhyped… I had better deli sandwiches in Boulder, CO. Not to mention every monday I have a BBQ pork Banh Mi from Lee’s sandwiches. Best $2.75 you can spend. Thanks again for the great reviews and photos. I really enjoy your blog. My wife and I have come to rely on your reviews. Over the summer, the CEO of my company was in europe and looking for restaurant suggestions. Based on your blog I sent them to Chez Dumonet, and they can’t stop raving about it. I wanted to ask you if you can suggest any food blogs for rome, as we are going there for our honeymoon. Just stumbled across your blog and really loving it! What camera and lens are you using to shoot your pics? Thanks, Vivian! I shoot with a Nikon D90 with 35mm f1.8 lens. hello! i love your blog and your pictures. vietnamese food is probably my favorite of all time. you should check out Baguetier Bakery in Huntington Beach, as I noticed you like bakeries too. They just opened a little less than a year ago and make awesome french baked goods (including croissants and macarons). glad i found your blog! James – Get thee a bottle of Red Boat Fish Sauce. This stuff is liquid gold. My name is Stuart and I live in Los Angeles. My wife and I just returned from our first trip to London, and thanks in part to you, we had a trip of a lifetime. Before we left I discovered your web site. We took every one of your recommendations, from the chorizo sandwich at Borough Market to Dinner by Heston Blumenthal and everything you suggested in between. Every recommendation was terrific and the culinary experience in London helped make our trip wonderful. Our three favorite meals were Blumenthal, St. John and Sunday roast at The Mall Tavern. As good as Dinner is, the best meal overall was at The Mall Tavern and the most memorable was at St. John. We also loved afternoon tea at Brown’s Hotel. All were great. Oh, the custard donuts at St. John Bakery were also pretty remarkable. We even took your advice on dishes (I.e. meat fruit, roast bone marrow, chicken Kyiv, arctic rolls etc.) and you were so right about them all. We had several other good dinners in London (The Wolseley, The Ivy, WAGAMAMA, Bucca Di Lupo) but none compared to your picks. Restaurant Blogs and food critics are a dime a dozen, but your recommendations were worth their weight in gold. Now we can’t wait to try your tips here in L.A. and New York, where my daughter lives. (By the way, she manages the Sprinkles Cupcake store in NYC and loved your review of Sprinkles). I just had to let you know how much you influenced our vacation and how right-on your tips were. Your Echo Park list is seriously lacking. What about all of the GREAT underground/street food??? Must try the blue corn pumpkin flower quesadillas. Taste as if they’re straight from Mexico. Hi cathy! I love your blog. I was wondering if you could suggest a restaurant to host a bridal shower dinner for 15 in los angeles. Preferably classy/trendy place with great food. new american or italian. Vivian – Vern and I held our wedding rehearsal dinner on the patio at La Grande Orange in Pasadena. Really great California atmosphere and solid New American food. I think it’d be a great place for a bridal shower! Hi! Happy to stumble across this blog. Making a loose version of your Bun Rieu tonight, cant wait to see how it turns out and am so excited! Currently trying to make a few new vietnamese dishes a week for the hubby, who misses his mom’s cooking while we travel around the US and are far from home. Thanks for making a great blog and inspiring me. PS. Ive just moved from Philly after living there for 3 years! I also love the same restaurants. A mix between Vietnamese name and real name. She seem has come to Vietnam. I like this style name. Thanks for a funny talk. I used one of your recipes for my first attempt at a Vietnamese soup, and it was awesome, better than some restaurants I’ve been to. Many thanks. Great to hear, Richard! Which soup did you make? Hats off to you! Thanks for all the press you’ve given Birmingham on your site. I live in LA now with my wife, who is from here, but being from Birmingham I’m always happy to see it getting acclaim elsewhere. I had J Gold speak to my writing class when I first moved out here. When I mentioned I had lived in Atlanta he didn’t have much to say but when I mentioned I grew up in Birmingham he gushed with enthusiasm about its food. Three recs I have for you and your husband: Davenports for pizza, Archibalds in Tuscaloosa for BBQ, and Milo’s for burgers. Your husband may have been to all of the but, if not, they’re worth a visit, My wife and I went to highlands this last holiday and it was great. I’m continually tickled how I find my way to places where I want to hang that are cooking and dining related. My in-laws are coming for dinner tonight, and I’m scurrying around doing prep, as I like to be a guest at my own dinner parties….Comfort food tonight…Chicken and dumplings. So in the middle of everything, I ask my husband why we haven’t been back to Sushi Kimagure (sp?) in a while…Owen says, “let’s go next week”. I “googled” for the number, and lo and behold I find my way to your doorway, so to speak. I’m a guy who basically is in the kitchen 24/7, and have been this way since single digit age….just turned 58 in November. I used to teach, but today am strictly a home cook, but one on STEROIDS….you’d never believe what comes out of my kitchen in a weeks worth of time. Can’t emphasize this enough. If we’re not breaking bread at Camp Jeff and Owen or feeding friends here, our meals out tend to be fun dive’y Mexican restaurants or exquisite sushi. Finding your site evidently has yielded paydirt. I don’t have much time right now to hang out to see your archived recipes, but the “addict” in me did have to get a look-see. I saw the Cardamom crumb cake, and also the Oyster stew/chowder recipe, and I think this is going to be one helluhva fun cyber place to hang my hat, as I’m already gearing up for some of your sharing, to translate into dishes made at home. p.s. I’m bad….just delved further into your site, when I should be cooking. Oh well. We tried like the dickens to get into El Cellar De Can Roca, when we were in Spain 2 years ago. How many phone calls did I make? Well how many stars are in the sky? Oh that was loaded,….your hubs is an Astronomer 🙂 Awesome that you’ve been there. I have a San Diego Party Bus company and my clients alwayss test my knowledge of restaurants and I stumbled upon this when I was searching for Vietnamese Restaurants in San Diego. My business is always asking me to find new tasty treats for my clients. The jobs I like the best is when they involve the Asian Persuasion :P. Now my clients were going to do a San Diego Brewery Tour and when they were done they wanted authentic Tai food. I called around all day and I always ask if they make their meals from scratch and if they say, “yes”, I ask next were they get their vegetables. It’s funny but the first rule of Asian food is how they attain their “spice” and how they attain their “vegetables”. If they hesitate I hang up the phone. The other way I check out my restaurants is by asking the vendors at the farmers market. The vendors will have regular customers who buy in bulk. They have no problem filling me in on those establishments. So……I’m giving you the best advice in the world! Make sure the products are fresh! Make sure and ask the farmers market vendors which restaurants buy from them! This in itself will speak wonders! Good luck and Good eating! The Limo Company That Knows Food! I just wanted to tell you how much I enjoy reading your blog. I just found it recently. I’m a 28-year old living in Melbourne, Australia. I’ve been to California twice, but I now have a looooong list of cities to visit (for food) in the US. I love trying new food, and I’m a runner too. I do about 6-10 miles whenever I can. If you ever come to Melbourne I’d love to eat some food and run some miles with you. I think we’d have a lot of fun. Love your website! My husband and I are going to Vietnam for 2 weeks this June. We are most excited about the street food. What is your take on “safe street-food eating” and did you have any hesitation about eating it when you were living in Vietnam? My mother (who is from Vietnam) is even warning me not to eat it! Nora – I have never gotten sick from eating street food in Vietnam. My family, both here in the U.S. and in Vietnam, frown upon my enthusiasm, but I think that’s more of a “class” issue than a safety one. My husband, on the other hand, has a weaker stomach and is often sick when we travel abroad. He just pops some Pepto Bismol (or Cypro) and keeps on eating. It’s worth it! Enjoy yourself! I made thịt nướng to your recipe yesterday, along with some peanut sauce Hue style.for bún thịt nướng, it was very good. I had amazing bánh mì thịt nướng this.morning for breakfast, i was truly moved by the flavour. I did add some soy sauce and a little more sugar to the marinate though, i think soy sauce adds much flavour to the meat. Some even add mắm ruốc to the marinate. I’ve been to your blog just recently and it was a huge discovery for me. Made bún bò Huế the other day and it was spot on! Thank you so much. My curiosity makes me do an online search on how to make Banh Chung. My mom’s not available right now, otherwise, I’d ask her. She made a batch for my son’s first birthday this past weekend, so I’m enjoying leftovers today at work. I came across your blog and I have to say, I’m inspired to cook more Vietnamese food! My husband is Mexican and loves Vietnamese food. I’m from San Diego as well; small world! Thanks for having this blog. On a side note, any restaurant recommendations for the Little Saigon area? My husband’s first visit wasn’t a good one, so I’d like to make up for it with a tried and true restaurant with awesome food. 🙂 Cảm ơn! Just watched you on Rick Stein’s show, really entertaining and interesting. Will have to read some of your blogs. Thank you, Xi! Can’t believe my baby is 10 years old! Damn!!! thanks for what you do!! I just bought some pork fu (kimbo brand) and I looked up some things to do with it other than on top of jook or just put a pinch in my mouth like a snuff dipper. Anyhoo, I am replying to your aversion to the term “pork floss”; conjures up pics of pigs in front of their bathroom mirrors. In British English, what we in the U.S. call cotton candy is called “candy floss”. So, it easily translated over to pork floss; same kind of texture and look, and the name stuck. I am open to any ideas for a new name. Love the spirit of your blog.